SPAC has developed and established patent pending methods to deliver effective solutions in compliance and adherence for patients, physicians, pharmaceutical companies and insurance companies. Stakeholders benefit from an all inclusive model where patients and their physicians are at the center, surrounded by resources necessary for the patient to receive the right drug at the right place and at the right time. In tune with our commitment to innovation, SPAC has created a multi platform mobile app for the I Phone and Android platforms, to keep physicians and patients engaged from the time a script is initiated through the entire treatment period. 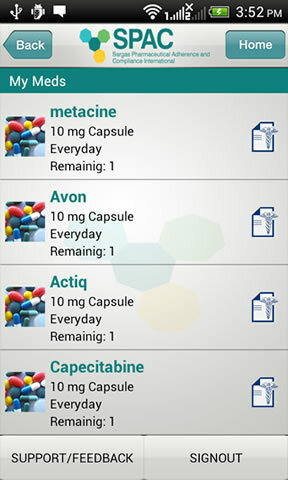 This application enables patients’ adherence to the prescription protocol prescribed by their physicians and there by reap the maximum benefits from their medications. Available at Apple iTunes and Google Play stores. Information specific to Protocols - FAQs,and education. Reporting skip reasons to Doctor's office. Security via password and pin entry on mobile phone devices to secure patient health information. 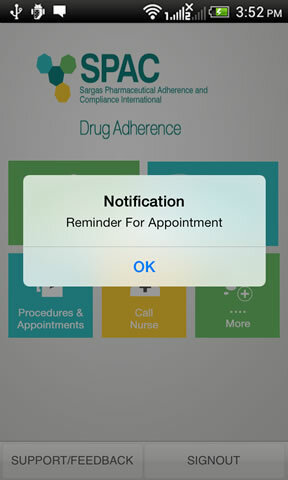 Only registered SPAC Patients can use the app. 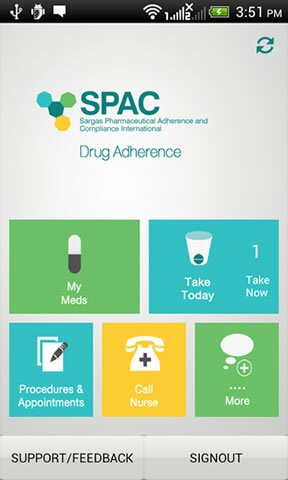 Cancer patients can download SPAC mobile applications at iTunes and Google Play stores. 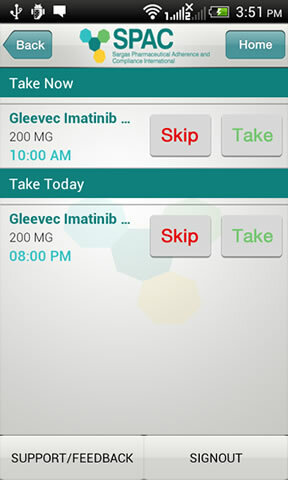 Once patients and physicians are enrolled, prescription is activated.